Born in Glasgow, Scotland won gold and bronze medals for art on four successive occasions before attending and graduating from Glasgow School of Art. Thereafter, having attended Jordanhill Education College, entered the teaching profession to become, for some 16 years, the Head of Art & Design in King’s Park Secondary School, a large Glasgow comprehensive secondary school. Left teaching 1997 to devote himself totally to the pursuit and development of his own artistic career. 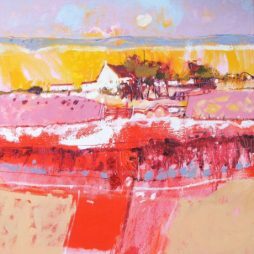 Now visits, and gains much inspiration from, the island of Mallorca and from Italy and France, sharply contrasting environments from that of his native shores. 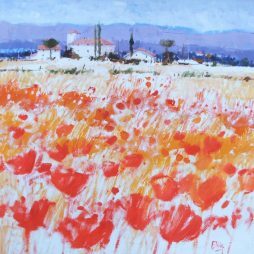 He is known for incorporating the strong colours of the Mediterranean in all his landscapes. 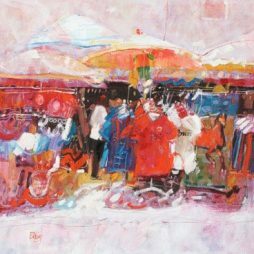 Besides Britain, Ian has works hanging in Canada, Belgium, Eire, France, Germany, Spain, and The United States, amongst others.